Other than providing insulation and protection against weather and outside climatic conditions, siding should give an esthetic feel to your house exterior. The outside view of a house is as important as interior because it creates a whole statement of your residence; therefore, you need to make it just perfect by adding style and durability. As the exterior is directly exposed to outside environment; so, the chances of it, getting damaged are higher. To protect its look and functionality, you need to cover it with the most suitable ‘siding’. This is actually a protective material that is used on the exterior walls of a house. If you really want to enhance the curb appeal of your house, hire a modern architect in Pakistan, who could choose a best siding for the exterior of your resident. Here is the detail about different types of sidings. Bricks are good- t- go for centuries because these are composed of fired-clay and are resistant to burning and rotting. The original bricks are available in various sizes and you can pick the one that suits your house exterior. In-case your house’s overall structure does not comply with this type of exterior, you can install brick veneers. If you are scared of water penetration in brick veneer, install a membrane between them to protect your house exterior for the longer time period. Make sure the brick siding is installed properly because its lifespan depends greatly on its fixation process. Vinyl is not only a cost-effective siding but is easily available in a variety of colors and designs. By using this type of material you can give any kind of ideal look to your house exterior. You do not need to paint it because it comes in a colorful variety and is fixed while using simple DIY techniques. The only disadvantage which may become the concern of many people is its sensitivity to changing weathers because it contracts and expands in cold and hot season. If you want to add texture, style and durability to your house exterior, there is no better option than choosing stone and stone veneer siding such as granite and limestone. For its high resilience and unique style, it costs much more than the other sidings. 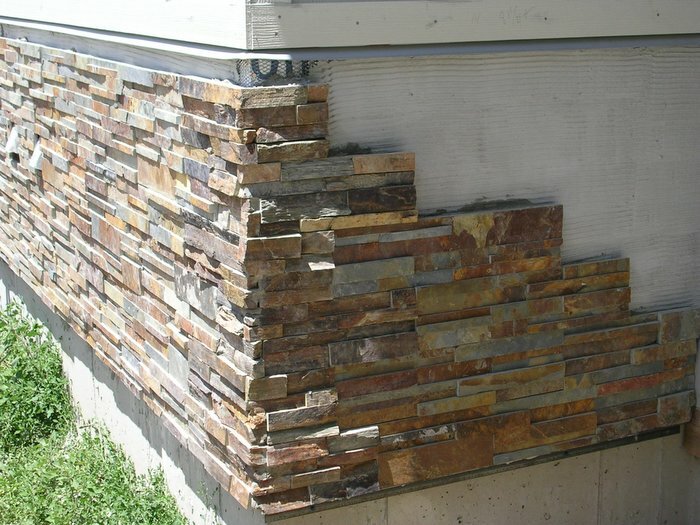 If you want to give your house exterior a natural-stone appearance but that too in an affordable price, then choose stone-veneer siding as it comes in variety of synthetic materials, which truly carry the look of a natural stone. Composed of building sand, Portland cement, lime and water, stucco is good siding to give a classic feel to your house exterior. This can be applied on both – the brick and the stone-surfaced houses. The installation process is bit complex, as it requires you to apply a water-proof barrier paper and galvanized-metal screening over wood walls, before the stucco is added. When applied properly, it can stay there to provide life-time protection to your house exterior. Wood-siding gives more of luxurious and stylish feel to a house exterior. Usually, the bungalows, Cape Code and Cottages exteriors have wood siding. Although, it looks good but its maintenance requires more attention because it gets damaged in different climatic conditions and is susceptible to insects or rodents’ attack. You should do proper chalking and painting on it so that it could stay for relatively longer time period. A siding is not just chosen by considering its price and look; instead you also need to check either it is compatible with your overall house structure and would it be able to last at least for the initial ten to 15 years. By consulting a renowned architect in Lahore, you can select a siding that best suits you house exterior.